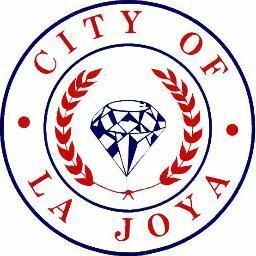 The La Joya Volunteer Fire Department is giving away free smoke alarms along with free installation to residents. La Joya Fire Chief Frankie Joe Salinas partnered with the American Red Cross to donate 100 fire alarms to those in need of one. Residents who are interested in a smoke detector would simply need to call Salinas to set up a time for volunteer firefighters to go to their homes to install the alarms. Included with the smoke detector is a pamphlet that describes what the smoke detector does in English and Spanish and a dry erase board so residents can draw out a home evacuation route. In 2016, Hidalgo and Cameron Counties ranked among the highest in the state in the number of structure fires with 271 and 308, respectively. The data was reported by the Texas Department of Insurance through the Texas Fire Incident Report System. The 2016 annual fire statistics were the most recently available online. Starr County had 25 structure fires in 2016 while Willacy County had only one. For structure fires, the most frequently identified area of origin for the state was the kitchen or cooking area at 41 percent. Since the program was rolled out on Wednesday, Salinas said they’ve already done five installations. La Joya residents in need of a smoke detector are encouraged to contact Salinas at (956) 219-3916.